The Best Game Capture Software For Free! The LoiLo Game Recorder supports Motion-JPEG. With this file format you become able to reach the best balance between file size and image quality. Therefore, it is finally possible to create outstanding Full HD video in reasonable file size! 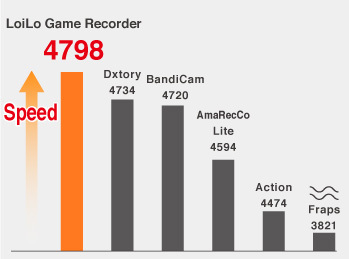 At the benchmark test with Final Fantasy 14 the LoiLo Game Recorder showed the least performance loss compared to any competitor’s non-free software. "Final Fantasy 14: A Realm Reborn Official Benchmark"
Choose game, click the record button. No more option shuffling for hours! Just decide which game to capture and here we go! Record your games for free without any limitation! But why don’t I have to pay for this? 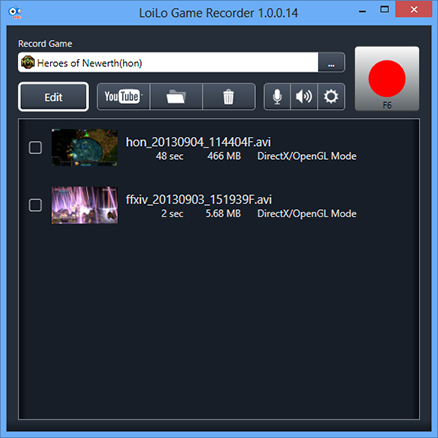 The LoiLo Game Recorder has been developed as a link to our video editing software, LoiLoScope. We earn money with LoiLoScope and the LoiLo Game Recorder stays independent and freely usable forever and ever :-D ! 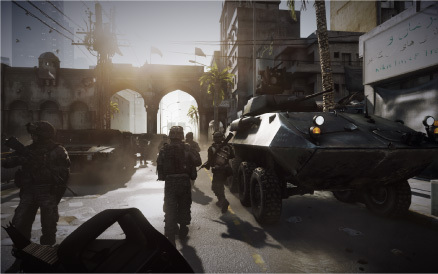 Discuss with other gamers, present your own creations, tell us, if you have any problems with the program.